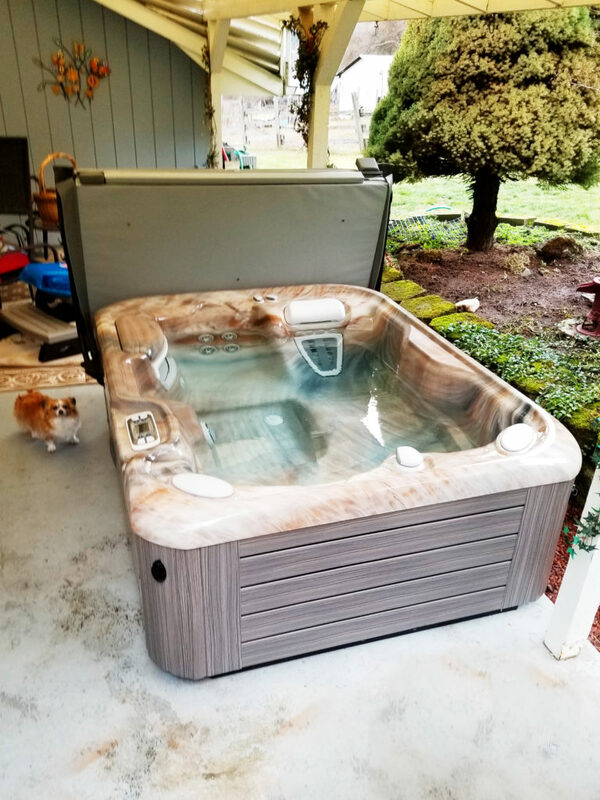 This beautiful 2016 Hot Spring Jetsetter Hot Tub is perfect for seating 3 adults in 225 gallons of warm swirling water. It features 14 jets that relieve-tension in targeted areas. This includes the Moto-Massage DX jet that provides powerful streams of water that sweep up and down the length of your back. The Jetsetter is just one of seven hot tubs within the Highlife Collection which was designed to provide the ultimate ease, enjoyment, endurance and efficiency.